MSRP $146,193. 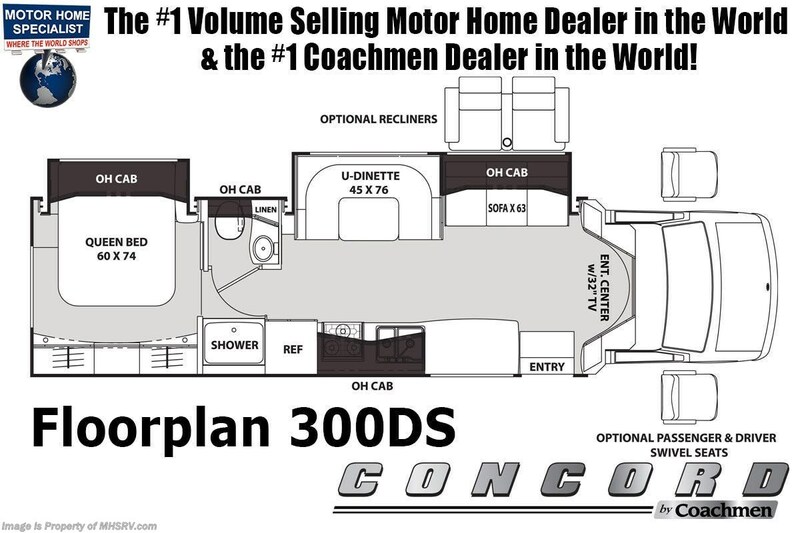 New 2020 Coachmen Concord 300DS with 2 slide-out rooms is approximately 32 feet 9 inches in length and features a 4KW generator, front entertainment center with TV/DVD player as well as sound bar, air assist rear suspension, Ford E-450 chassis and a Triton V-10 engine. This amazing RV not only features the Concord Premier Package and Concord Luxury Package but also includes additional options such as the beautiful full body paint exterior, driver & passenger swivel seat, cockpit folding table, removable coach carpet, electric fireplace, aluminum rims, hydraulic leveling jacks, bedroom TV, satellite, Wi-Fi Ranger and an exterior windshield cover. For more complete details on this unit and our entire inventory including brochures, window sticker, videos, photos, reviews & testimonials as well as additional information about Motor Home Specialist and our manufacturers please visit us at or call 800-335-6054. At Motor Home Specialist, we DO NOT charge any prep or orientation fees like you will find at other dealerships. All sale prices include a 200-point inspection, interior & exterior wash, detail service and a fully automated high-pressure rain booth test and coach wash that is a standout service unlike that of any other in the industry. You will also receive a thorough coach orientation with an MHSRV technician, an RV Starter's kit, a night stay in our delivery park featuring landscaped and covered pads with full hook-ups and much more! Read Thousands upon Thousands of 5-Star Reviews at and See What They Had to Say About Their Experience at Motor Home Specialist. WHY PAY MORE?... WHY SETTLE FOR LESS? 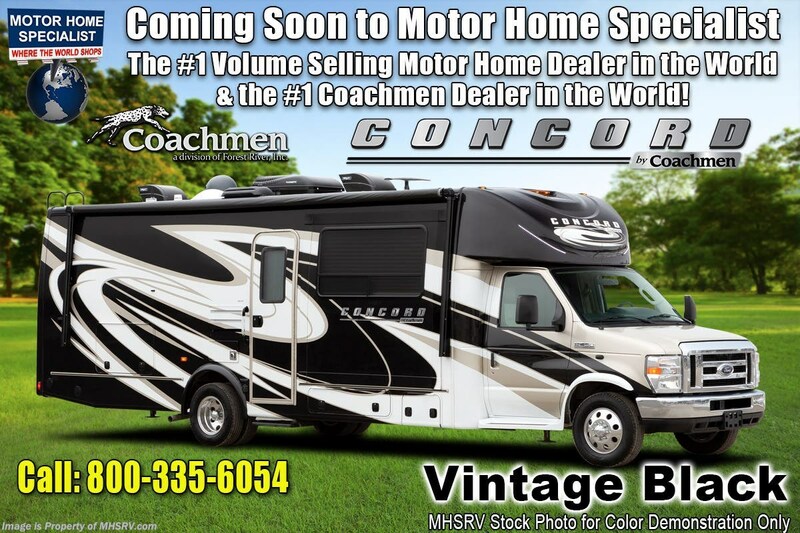 Check out Stock # JCM011965730 - 2020 Coachmen Concord 300DS on coachmenrvsource.com!